Pilots earn their certificates for many reasons, but it’s been my experience that they only keep flying after the checkride if they have a goal, a purpose for being airborne more satisfying and fulfilling than the empty aeronautical nourishment of the hundred dollar burger. For some it’s exploring the backcountry. For others it is aerobatics. And for Steve Wood, it is setting FAI world speed records over a recognized course in this homebuilt Glasair Aviation GlaStar, affectionately known as Goofy, for its N-number N600FY. I’ve mentioned Steve before, in Looking Up to Sustain a Future in Aviation, and noted that he’d set 90 world speed records. In his usual manner, he planned the out and back flight to Nassau, Bahamas, with precision and attending to the multitude of details required for any record attempt. The success of any record attempt is determined by the planning, he says. To ensure the accuracy of the overhead times at each of the cities to and from the international destination (Nassau), he flies IFR and talks to each tower before the flight. 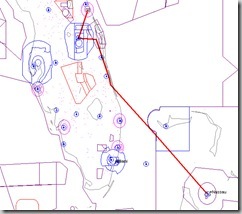 Five of Steve’s April 16 city pairs were Daytona, Orlando, Titusville, Vero Beach, and Fort Pierce to Nassau, a total one-way distance of roughly 350 nautical miles. 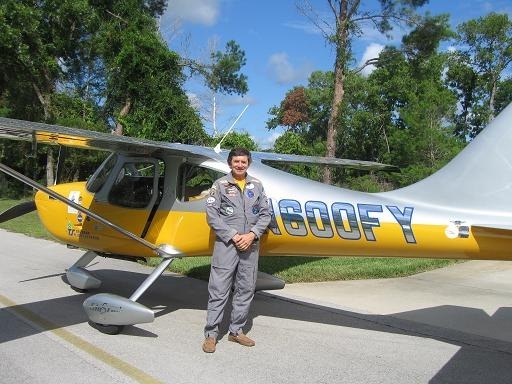 On his way home to Spruce Creek, a fly-in community outside of Daytona Beach, he set another five world records from Nassau to the cities he passed over on the way down. Number 11 was a round-trip record between Daytona and Nassau. His top speed was 240.47 km/h (149.43 mph) between Nassau and Titusville. Should Aviation’s Past Promote its Future? This entry was posted on Tuesday, June 1st, 2010 at 10:27 pm	and is filed under Air Traffic Control, Airports, Aviation Marketing, Blogging, FAA, General, sport aviation. You can follow any responses to this entry through the RSS 2.0 feed. Both comments and pings are currently closed.